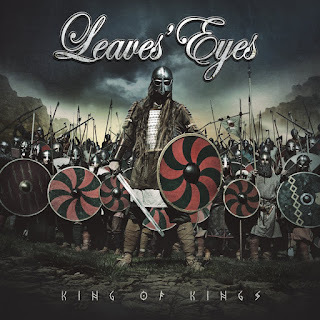 Leaves' Eyes the female fronted Symphonic metal band released their sixth album "King of Kings" a few months ago, but before we delve deep into this album is mandatory to do a background check, the band started around 2003 after the departure of Liv Kristine from her previous band Theatre of Tragedy and then the entire lineup of Atrocity joined forces with her to create the project Leaves' Eyes and today's one of the most respected bands within the sub genre. "Lovelorn" their debut album was released back in 2004, "Vinland Saga" in 2005, "Njord" during 2009, "Meredead" in 2011 and "Symphonies of the Night" almost by the end of 2013, all of them under Austrian label Napalm Records, their latest album "King of Kings" was released by AFM Records, the album was recorded, mixed and mastered at Mastersound Studio in Steinheim, Germany; the current lineup is Liv Kristine in vocals, Alexander Krull in keyboards and backing vocals, Thorsten Baver in guitars, Joris Nijenhuis in drums and Pete Streit in guitar. 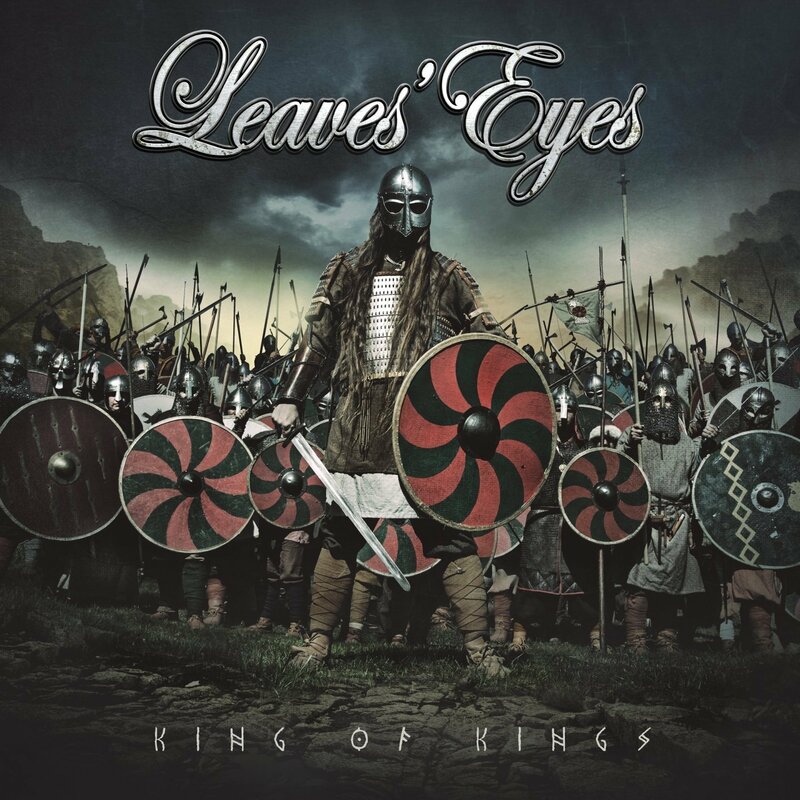 Leaves' Eyes is one of those few bands that time gives them skills and wisdom while song writing, blending perfectly heavy melodies and lyrical content, to project a solid idea of how it should sound Symphonic metal nowadays and the addition of Folk elements make it even bold, choruses to sing along and catchy riff throw the hooks to engage you in an Norse odyssey plagued of historical events brought back to life, "Kings of Kings" differ conceptually from its predecessor, "Symphonies of the Night" here they recall some of their classic albums such "Njord" or even "Vinland Saga", but distant by itself, due to the maturity gained through the years and I'm talking about them individually, because you have to keep in mind that Liv Kristine has been around since the early nineties and Atrocity since mid eighties, so there is plenty experience to pull out an album like "King of Kings"
"Sweven" opens the album, with a subtle folk intro that ends with a spoken section in Norwegian, "King of Kings" is rapidly linked with choruses coming from afar and suddenly Liv Kristine voice appears, melodic, sweet with her classic high pitch and Alexander Krull delivers deep growls to contrast, everything here sounds perfect, crushing guitar riff by Thorsten Baver complemented by Joris Nijenhuis with a solid drumming section, "Halvdan the Black" is the first single and sounds heavy, energetic and powerful along with the previous track immediately become epic ones of the album, "The Waking Eye" is the latest single of the album, here they stretch out and missing a little bit the Folk ambiance that predominated, but does not mean it's bad at all, it has heavy and catchy riff that characterize Leaves' Eyes, "Feast of the Year", "Vengeance Venom" and the last track "Swords in Rock", are played with a single structure but the Folk parts induced, highlights each one in a unique manner, "Sacred Vow" speeds up being the fastest track of the album, blasting drums and choruses exceptional by the choir ensemble London Voices, "Edge of Steel" featuring Simone Simons from Epica, offers an extraordinary orchestration, sharp riff and stunning drums the battling vocals between Simone with her angelic voice and low growls of Alexander is amazing, "Haraldskvæði" is a Folk ballad based in a Norwegian poem dated of the 9th century written by Þorbjörn Hornklofi which consists of a conversation between an unnamed valkyrie and a raven; the two discuss the life and martial deeds of Harald Fairhair, "Blazing Waters" featuring Lindy-Fay Hella from Wardruna this track sounds more oriented to the Pagan concept at the beginning, turning to dynamic guitar riff and galloping bass with a superb guitar solo, Alexander Krull dominates with growl vocals while Lindy-Fay Hella and the choir ensemble London Voices chant in the background, indubitably "King of Kings" brings an eleven tracks each one with their own personality. "King of Kings" denotes a fascinating part of the Norse mythology with exuberance and pride, the album by itself is fascinating from beginning to end, it has everything a diehard fan of Symphonic metal wishes, lots of powerful riff, excellent orchestration, great vocals and exquisites choruses, but the key is the Folk passages well embedded, this is what set Leaves' Eyes as true leaders right next to Nightwish within the sub genre.